I checked my cell phone at bedtime—useless habit, I know, because I’m warm and comfy inside and not going anywhere. AccuWeather says it’s sunny and 81 degrees. My eyes tell me it’s dark outside except for electrical lighting, and my bones tell me it’s 50 degrees. I forget my bedtime rituals and rush to my computer to check my AccuWeather link. My eyes are right. It’s dark. My bones are right too. It’s a cloudy 50 degrees. First, I click the Google icon on my screen and search for Kismén gueşli—the words that appear below the temperature on my phone screen. It returns no results. Next, I search for AccuWeather hacked January 22, 2018. Several posts originating in different countries say their AccuWeather apps show sunny and 81 degrees. Finally, a universal agreement on something. The next step of unity is that all of us will wait—impatiently, of course—for our AccuWeather or our cell phone providers to send us a solution to make us disagree again—at least about the weather. I moved from sunny Southern California to Louisiana the first time in 1962 when my husband—I’ll call him Bill for privacy reasons—was discharged from the military. I disliked the year-round rains. My first brush with a hurricane three years later churned deeper emotions of fear and hate. We lived about 300 miles north of the predicted landfall location of Hurricane Betsy in 1965, so I expected heavy rains. I could get through it with Bill’s help. But he was sent to the devastated coastal area to restore electrical utilities. I was home alone. I mopped up water from incessant rain that oozed in around the windows, ran down the walls, and puddled on the floor. “Home” was a disappointment. Low-paying jobs, heat, humidity, and unending rains filled my days. We moved to Southeast Louisiana where the pay was better but the rains were worse. Then we met Hurricane Andrew, a projected Category 5 hurricane in 1992. “Don’t worry,” Bill said, “it’ll slow down once it hits Florida. All we’ll get is rain.” Andrew swept westward. We were in the direct path. Andrew strengthened back to a Category 5, then downgraded as he stormed our way. The voluntary evacuation order came to our parish (county to all you who aren’t familiar with Louisiana vocabulary). I left work in Baton Rouge and crept toward home in the outbound traffic. Bill was nailing sheets of plywood over the windows. “Are you almost ready to go?” I asked. “If I don’t stay looters will take all my shop tools. Gonna ride it out,” he said. I would have felt safer in the truck high above flooded streets, but I tossed my tote and a bag of snacks in my sedan. In case Mississippi hotels were full, I added a sleeping bag, a pillow, and bottled water for shelter survival. Weather news said Andrew had slowed to a Category 4 when it hit the Bahamas. “No sense paying an extra hotel night,” Bill said. “Wait till tomorrow and see what happens.” The next morning, voluntary evacuation was replaced by a shelter-in-place order. I peeked through silver duct tape crisscrossed on the kitchen door window panes. A neighboring pine bent double in obeisance to Andrew, the 80-foot tall branches touching our gravel driveway before returning upright, only to repeat the same bow. My view of the front yard through the kitchen window showed the ancient oak standing its ground. Between peeks outside, I hovered near the television watching the devastation Andrew had left in his path—until the lights flickered and we were left in the dark. Without electricity we had no water from the subdivision well. We were campers, so we had prepared. We brought in buckets of rainwater from the wooden barrel for the bathrooms. We turned on the portable radio. We set up the Coleman camp stove. That evening we ate by light of the Coleman lantern. Sleeping in the heat of a boarded-up home was impossible. We soon used the last of the dozen radio batteries and the propane canisters. Then the phone died. We were cut off from everybody—our wise neighbors had evacuated. The morning after Andrew moved on, we stood on the front porch, sheltered from the heavy rain, accessing the damage. A downed power line entangled in a massive limb severed from the strong oak sprawled across our driveway near the street. Bordered by a deep drainage ditch, we were still captives. After a frustrating week, the rain stopped, and a utility crew arrived on our street. Their small gas-powered saw was no match for the oak limb. The saw stalled, then the chain broke. They borrowed our chain saw. My husband offered to do the first cuts. “That oak is tough,” he said. They refused citing insurance liability. He stepped back while they powered up his replacement. They made a few cuts before they broke his saw. There were no looters in our country neighborhood. The chain saw was the only loss. Homophone is a confusing word. Homo means same, similar, or alike. But phone? Nope. A homophone is audible, but not an electronic device. After my post about the U.S. Library of Congress Trump to/too (not tutu) faux paus, editors keep a keener eye (not aye) out for homophones—words that sound alike but convey a different meaning. See if you can spot the homophone mistakes in this short prose without the use of your spelling or grammar-check program. Homophones cantor through the computer gait. Editors, like jockeys, reigns in hand, race foreward down the tract toward the finish line in a determined manor. The words hide, stationary on screen, waiting for the editor to waiver. Instead, she knits and pearls the maize into a fashionable story that vales the queues of mistaken identity. Maybe farfetched that you, the savvy author, would make the exaggerated mistakes above, but here’s a BOLO (be on the lookout) from me, the grammar cop. Like drinking and driving—only not as dangerous—these common homophones can destroy your clear record. Wind your way through these wry words to the bottom where the edited prose quiz awaits. Here’s the edited homophone test with correct words in italics. Homophones canter through the computer gate. Editors, like jockeys, reins in hand, race forward down the track toward the finish line in a determined manner. The words hide, stationery on screen, waiting for the editor to waver. Instead, she knits and purls the maze into a fashionable story that veils the cues of mistaken identity. When I was in first grade, my mother let my twin and me play with neighbor kids anywhere on our block in our small town if their parents were home. Her safety rule was to “be home by dark.” I had several close calls when I dashed onto the covered front porch in the waning light of sunset. I needed more light after school. One cool spring day at the end of World War II, I overheard my father talking about the return of “War Time.” War sounded terrible to me until he said it was a way to save daylight like people did during the war. Grandpa Carr had saved cans for dimes in the war. 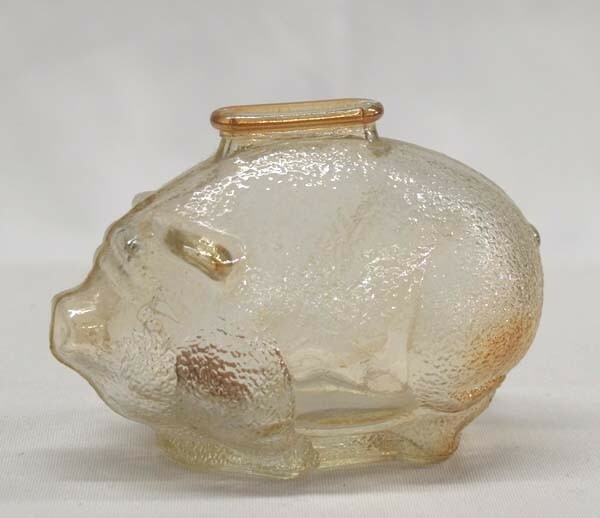 Maybe I could save time like pennies in my amber glass piggybank. Excited about a way to prolong sunset and play longer, I asked him what it had been like to save time. My mother was superstitious. She wouldn’t walk under a ladder. Actually, that showed her common sense. On a walk through the one-block square park one evening long ago, Mama took my twin and me by the hand as we approached the far side of the shortcut and turned us a different direction because a black cat crossed the sidewalk in front of us. If it was safe for the cat, why not for us? Our home was a shotgun style meaning that the front and back doors were in a direct line (one could see the backyard from the front porch if both doors were open). Mama’s superstitious ways insisted a person who entered the front door, exited the back to see the garden or chickens, must reenter the house and depart through the front door, not leave by one of the backyard gates. Today, Friday the 13th, I’m repeating portions of a blog I first posted on May 13, 2016. In Escape, one of my five crime fiction works in progress, I begin with a tight-knit genealogy group called Ghost Chasers (GCs) meeting for Friday lunch in the fictitious town of Pleasantville, Texas. These Friday meetings are the core of my manuscript, but writing rules insist that I minimize repetitious words in a single paragraph or close proximity. But how else to say Friday? Weighing a decision of whether GCs will meet today, I researched superstition associated with friggatriskaidekaphobia, fear of Friday the 13th. Now, my genealogists have a new mystery to solve when one of their members vanishes on Friday the 13th. If I need an alternate word for Friday, I’ll let one of my characters say Frigga. Frigga means Friday.